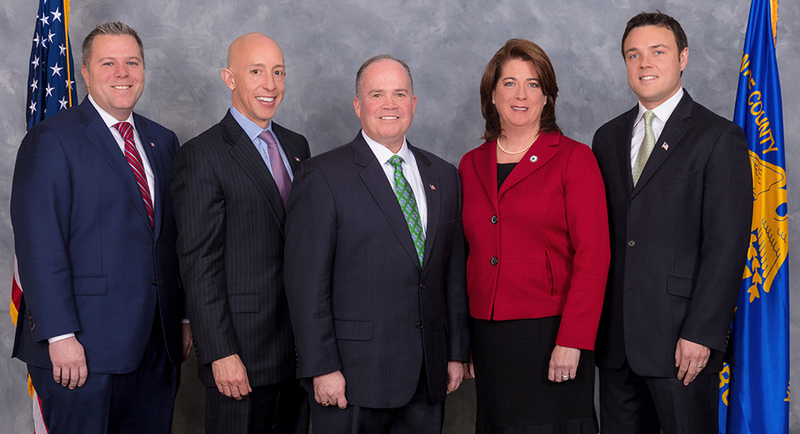 County Council consists of a five member body elected to staggered four year terms of office. The powers and duties of Council are many and varied due to the Home Rule Charter. Delaware County has the distinction of being the first County in the Commonwealth of Pennsylvania to become a Home Rule County thanks to a successful countywide referendum in 1975. Delaware County Council meets every Wednesday at 10:00 A.M. of each week (unless a holiday occurs or during the summer in which Council meets on a modified schedule). In addition to the Council Members, the Executive Director, County Controller, County Solicitor and County Clerk are also present during the meeting. The County Council Meetings are open to the public to attend and Council encourages public participation.